Australia’s best Rieslings paired with Yum Cha bites... Sunday lunch just got all the more exotic. Sunday lunch just got all the more exotic. 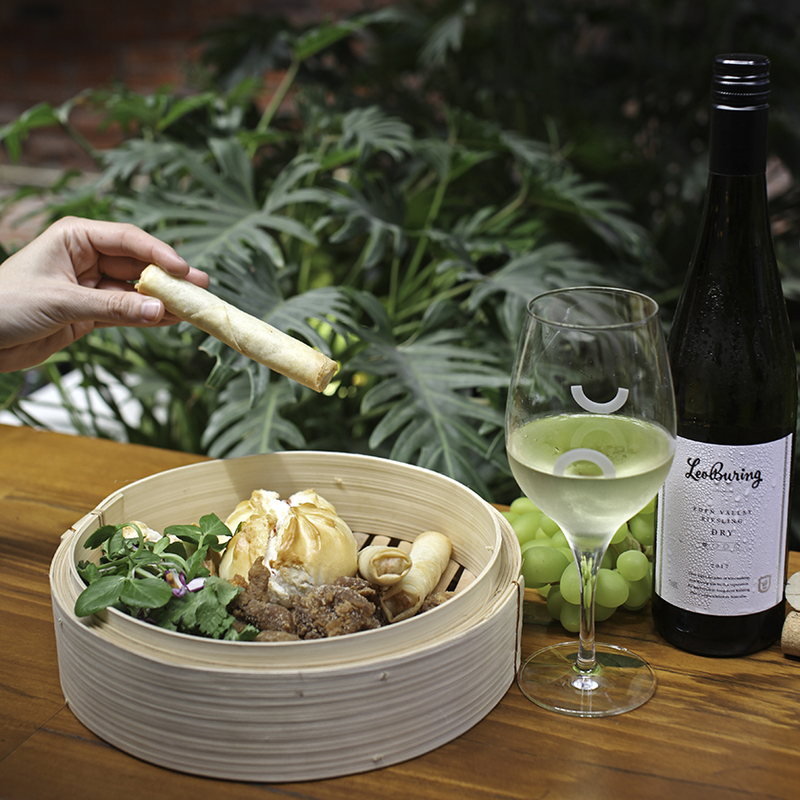 Grab your friends and sample Australia’s best Rieslings over Yum Cha inspired bites influenced by the wine’s fruity and refreshing flavours. Feeling peckish? The Yum Cha package with tasting basket created by Head Chef Ben King will feature carefully matched flavours with the likes of Pork Belly Bao Buns with house made Nahm Jim sauce, Vegetarian Nasi Goreng, Duck Spring Rolls and Chicken Karaage. You thought a good cheese and quince paste were the perfect match to a bottle of wine?Just wait until you try these.